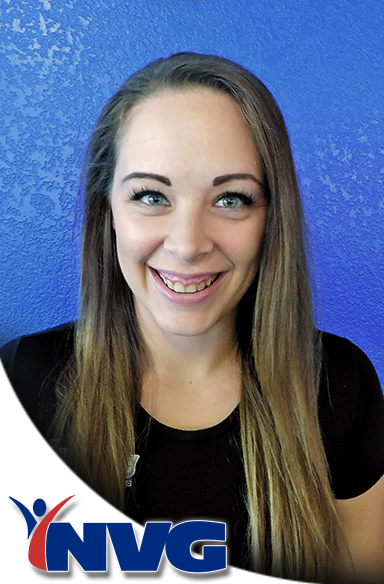 I am an Arizona native, I have 3 pets, love the outdoors, and I have been coaching gymnastics for seven going on eight years. I started my coaching career here at North Valley Gymnastics. I coached Trampoline and Tumbling for three years consecutively before my husband joined the Navy. While we were stationed in Virginia I coached competitive girls gymnastics for three years at Hurricane Gymnastics. When we moved back to Arizona I came back to North Valley Gymnastics to the Trampoline and Tumbling Program. I have been a certified Trampoline and Tumbling judge for two years. I have been in leadership roles at both North Valley Gymnastics and Hurricane Gymnastics for most of my coaching career. And I am excited to continue growing and coaching here at North Valley Gymnastics.